RPGs, on the other hand, are generally power fantasies. You start as the fated chosen one, or you end up becoming them, and your power is usually unparalleled. Whether you have the ability to turn into a dragon or possess magic blood, you’re often the most powerful being around, and the game world is built to reflect that. 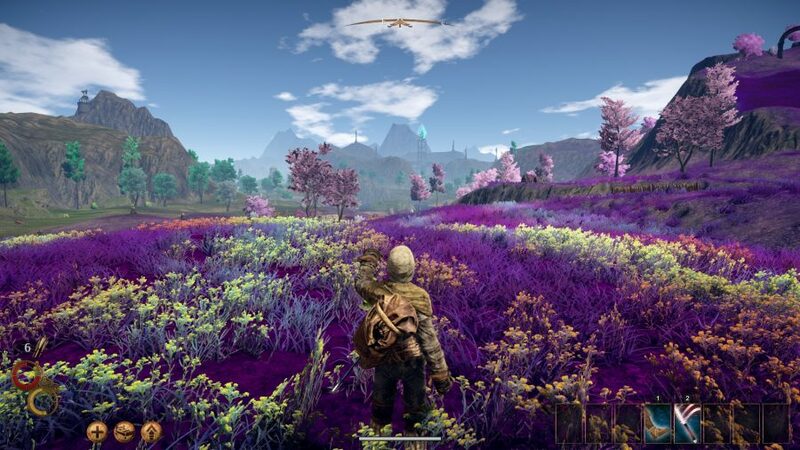 Outward is a game that attempts to intertwine these two diametrically opposed genres into one cohesive package. It’s an RPG world, but you don’t play as the hero. In fact, the game begins with me in debt and at risk of having my house repossessed. The first quest is to gather 150 silver so I can continue having a home. This puts a sizeable weight on the flimsy shoulders of my non-hero. 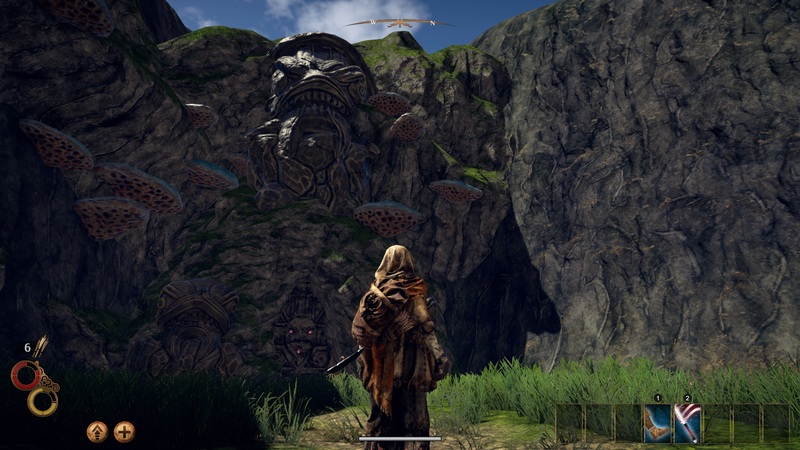 It could be a great concept, and it is on paper, but Outward sets out at the wrong pace. This is a game that doesn’t really commit to either of the genres that have influenced it. Instead, it feels a lot like a sim game. The aim isn’t to survive for as long as possible. It’s clear that I’m not meant to save the world – well, at least not in the first ten hours. I just have to continue to exist while trying not to lose all of my health. But I can’t actually die. Even if my health runs out, I’ll awaken somewhere thanks to bandits having kidnapped me, or a mysterious stranger helping me out. This rarely feels good. 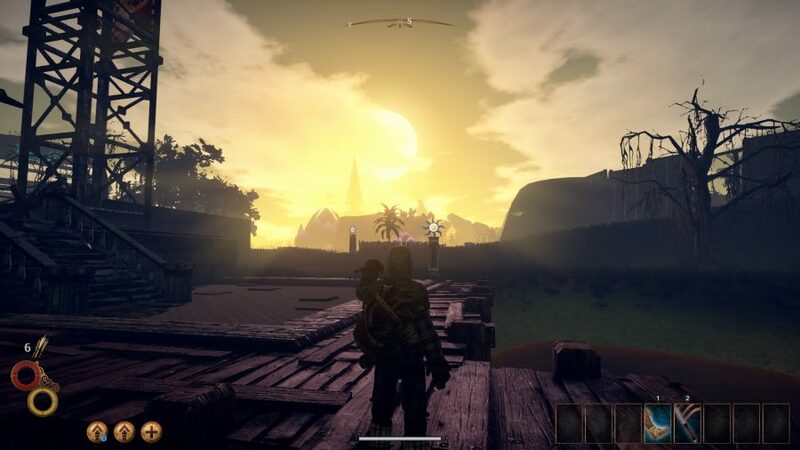 On my first attempt, I get to the second area in the game, die, then wake up next to the city I was heading to. Hoorah, you might think, but you’d be wrong. I’m so woefully ill-equipped for the area that if an enemy so much as throws an eyelash in my direction I would once again wake up elsewhere, as if spirited away by Loki. If it comes to it then starting a new character is fine. Much like with any other RPG, you understand the systems better on your second attempt. So when I restart, I quickly pay off my debt, and then just mosey about for a bit. I buy a new backpack, some new armour, and even manage to amass a bit of wealth. I get to play around with the world a bit more. I even discover that the magic system lets you lay down runes to power up your feeble spells so you can turn sparks into fireballs. There’s a day-night cycle that has me genuinely losing my way at night, too. 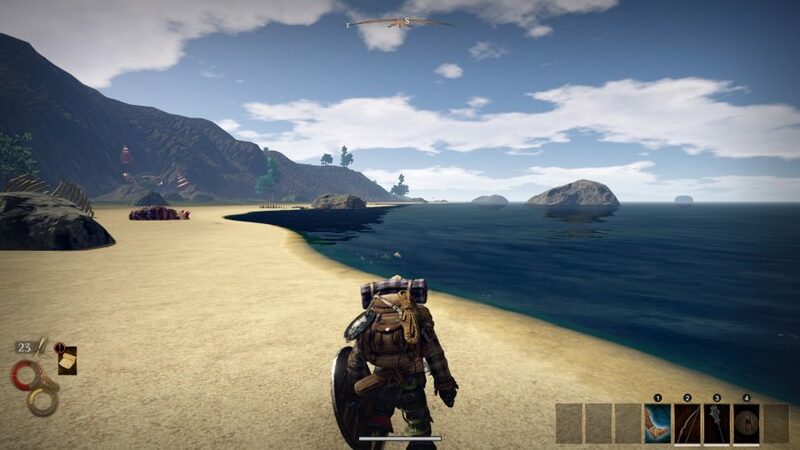 The map is static, and you have a compass, but with the landmarks obscured by the pitch black it becomes challenging to navigate. But, you know, challenging in a good way. Unlike some of the other oddities the game throws at you. Take the dialogue for example. What comes out of the mouth of each character never matches up to what’s written in the accompanying text boxes. Why? What kind of reasoning can there be behind that? The world is woefully inconsistent, too. A fall can strip your health entirely, but the same fall will do nothing to an enemy. Those enemies will also engage in fights with each other, but not if they see you first. Apparently I’m the town punch bag. The longer I spend with the game, the more I find these small missteps clawing at my enjoyment of Outward, or at least my Stockholm Syndrome. Plus, even the smallest iota of progress takes literally hours. 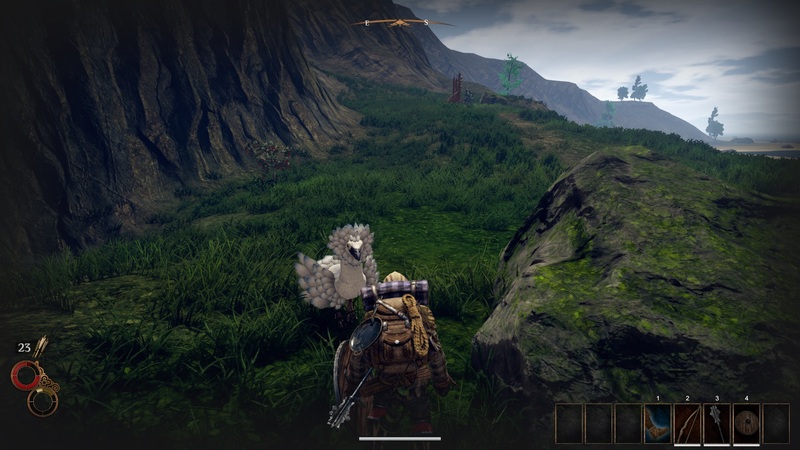 Crossing one of Outwards’ maps takes several unexciting minutes of battling against an ever-depleting stamina bar. The worlds just feel empty, and the survival systems can’t make up for it as they lack a proper sense of threat. Water is plentiful and food is easily won from the smaller fights against hyenas or foraged from bushes. And so you never truly feel in peril in Outward, just mildly inconvenienced. A good survival game has you constantly fearing for your life. If you look at Don’t Starve, you see a game that asks you to master the world in order to progress. You need to constantly keep an eye on your health, sanity, and shelter. Outward has none of that. The only time you really notice your hunger or thirst is after a nap. Magic in this game truly feels arcane. Casting a spell like Spark is good for lighting a fire and nothing else. If you place a rune on the floor first, though, it turns that Spark into a flame strong enough to take out an enemy. There’s fun to be had in that kind of battle preparation. The quest design is peculiar as well. Once you’ve paid off your blood debt you’re faced with three new destinations. Having followed the path to a cult previously, I decided to head to the small town of Berg, where I then had to help out one of three people. I made a Flame Rag in order to appease one of the people who could vouch for me. After that, I expected to get my next quest. What could it be: a grand adventure to fetch rare materials, or a chance to fight a boss? No, my task was to wait for three days in order for the next step of the quest to begin. What am I supposed to do with so much unwanted spare time? Pacing is important in games as, without it, players can start to lose interest. 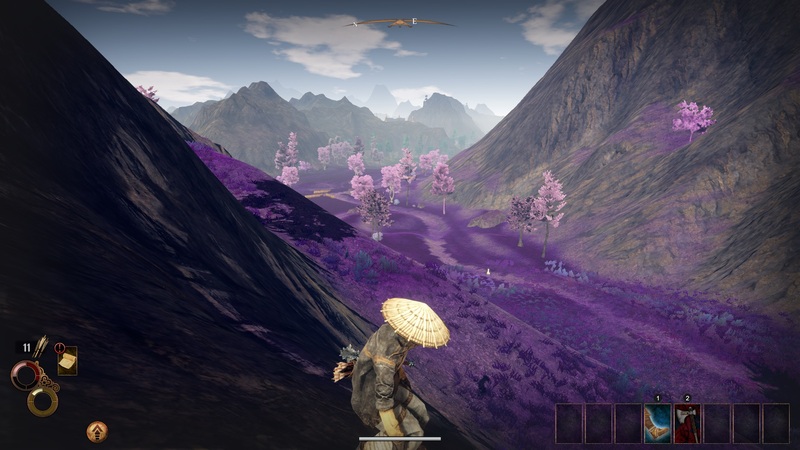 The creators of Outward don’t seem to understand that. Then it occurs to me. Some games take skill, others take strategy. Outward only asks one thing of you and that is time. 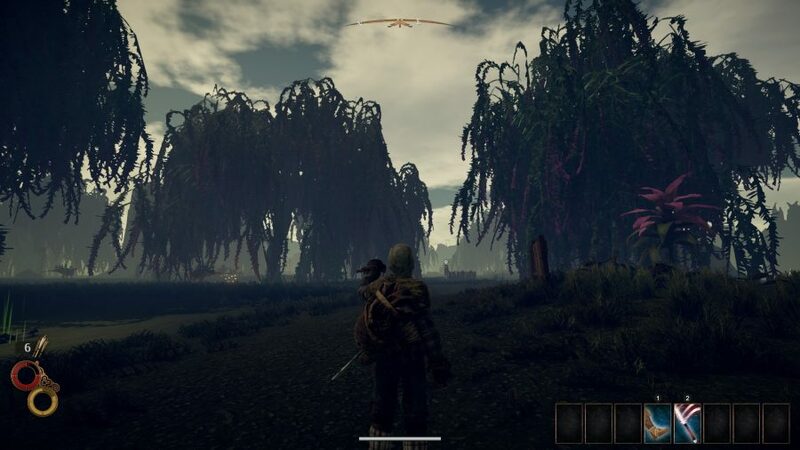 You don’t have to be good to get far in Outward. You don’t need to master tactics or clever positioning. You just need to invest an unholy amount of time into it. The game simply doesn’t respect your life outside of it. It has no interest in you as a player, only in itself as a machine to be fed minutes and hours. The only thing that’s truly enjoyable in this game is the music. It managed to send shivers down my spine at times, before launching into an epic orchestral piece that made me feel like Bilbo Baggins. That’s what Outward should be evoking – a grand, dangerous adventure. Instead, it seems constantly at odds with itself. 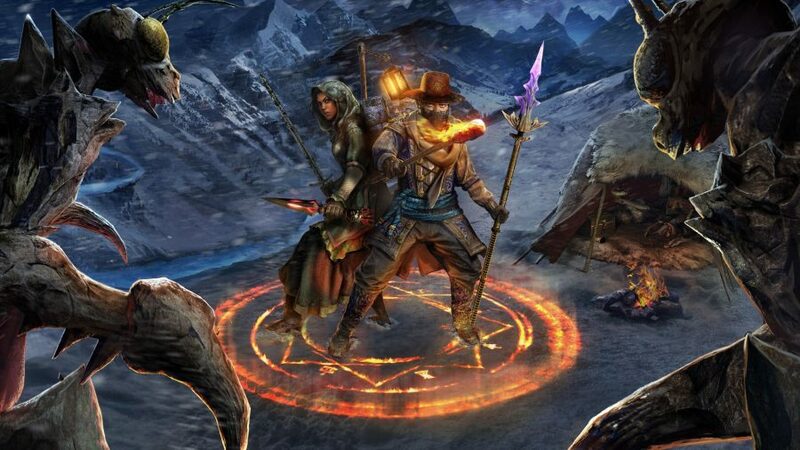 The RPG elements aren’t quite there and neither are the survival elements. It’s a shame because the idea of Outward is enticing. Casting magic using runes, foraging for food, giant lightning bugs, and balancing a web of complex systems should be sweet. But it isn’t. Taken alone, the individual components of Outward all sound fascinating. But the execution is the gaming equivalent of walking into an incredibly messy room and then realising you have to clean it by yourself.